Nothing could have been done worse during the middle of the EA press conference. It was boring and repetitive as well as boring. Did we mention boring enough? One thing EA did great? Started and ended incredibly. Queue start of EA Showcase, launch into the coolest CGI trailer for Mass Effect since Mass Effect 2. Mass Effect Andromeda looks incredible from the first look people have gotten and the redesign looks HD and wonderful. We cannot explain to you guys enough how excited the site is for more Mass Effect. Mass Effect 2 remains one of our favorite games ever. Please, Andromeda, be amazing. Need For Speed, Star Wars The Old Republic: Knights Of The Fallen Empire, Unravel, Plants vs Zombies Garden Warfare 2, NHL 2016, Rory McIlroy 2016, NBA Live 2016, NFL 2016, Fifa 2016, Mirror’s Edge Catalyst, Mobile Games and finally, Star Wars Battlefront. All of them were the same. EA said there was something new and there wasn’t. There you have it. Even Pele couldn’t fix how boring it was. Now Plants vs Zombies Garden Warfare 2 was pretty interesting but even that wasn’t that much different from the Microsoft presser. You got to see the playful new classes and that was certainly nice to see but honestly, GW2 looks just like a DLC for the first game. Unravel was the real only “indie” title given from EA but lets be honest, it was adorable. Featuring the cutest developer of all time up on the E3 stage, they really pushed for this to be the cute colorful game it is supposed to be. Star Wars: The Old Republic’s new expansion was featured, Knights Of The Fallen Empire, and it has a really nice CGI trailer but it won’t do much to bring people back into the game. I love The Old Republic, but without WoW-style endgame content, it is just as boring as it was before. Mirror’s Edge Catalyst was a well showcased game. Obviously there was a lot of hype for it pre-E3 and it is actually interesting because it was showcased less than NFL 2016. EA really only cares about profits because Mirror’s Edge was really the only thing other than Battlefront people expected to see a lot of. Oh well. It looked good and it looked good to see the city of Laos fully fleshed out and not just white washed. Now on to the main event of EA’s Showcase, Star Wars Battlefront. Let me tell you something right here, this game looks incredible. I don’t care what anyone is saying about it and I know EA will truly find a way to ruin it but it looks and sounds great. The gameplay trailer for this game made me jump out of my seat and it looks like all the vehicles from the Star Wars Universe will be playable. So even though there is no space battles and even though EA will ruin the game, at least this gameplay trailer, from PS4 footage, looks incredible. We’re also super excited to see what it looks like at launch and how it plays at launch. So watching when Luke and Vader fought the totally non-canon fight scene on Hoth brought back memories. Thank you EA for at least a glimmer of hope that you won’t ruin this. 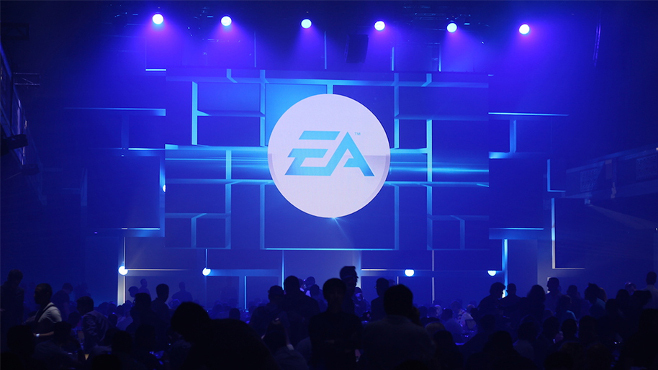 The press conference was slow and boring from the middle but the beginning and end were incredible, so thank you EA for meeting expectations!